When I considered writing this article I thought of all the key stages of the conformal coating masking process. This includes the design stage where consideration of the conformal coating is the most critical step. I also considered the masking materials being used and the reasons for using the right products. Finally, I wanted to link these two areas to the methods for masking ensure that the importance of all three stages was appreciated. So why mask in the first place when conformal coating? Many components and sections of a printed circuit board may not be required to be conformal coated. There are several reasons for this. Preventing components like connectors becoming non-conductive. Coating on connector pins for example can prevent correct connection and the device failing. Impairing moving parts by gluing them together or preventing them working. Components like speakers, potentiometers and clips on connectors may not work well with coating applied to them. Preventing grounding of the circuits when fitted into the product. This can happen when coating grounding points on circuits and they may need to stay uncoated. Stopping the circuit boards fitting correctly by adding extra coating thickness. A good example is where boards have to slide into something and the coating makes the edge of the board too thick. Affecting the component with an extra layer of thin coating on the surface. 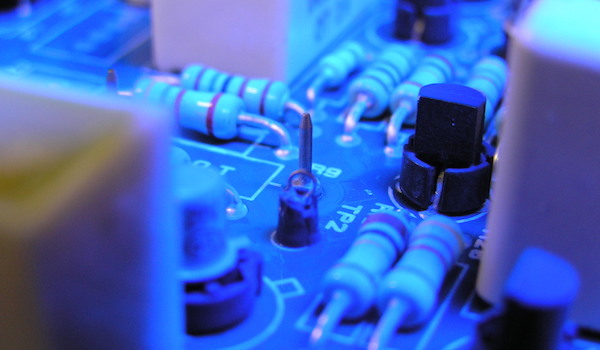 LEDs, heat sinks and RFI components can be affected by conformal coating and care should be taken. 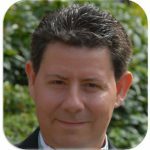 Whatever the reasons the masking requirement is a fundamental issue that needs to be addressed. Also, these points apply to both liquid conformal coatings and vapour deposition coatings like Parylene. Get the basic masking process wrong and it can be a big problem. It could lead to a repair of the conformal coating leak, stripping the conformal coating off the whole circuit board, removing a component to replace it or completely scrapping the board. So what parts do you need to mask on a circuit board? Sometimes it is very obvious what you need to mask. For example, a connector clearly does not want an insulating varnish contaminating the conducting parts. It wouldn’t function well if it did. However, on other occasions it is not so clear. Does an LED really need to be uncoated on the lens or can it work with conformal coating over the lens? Will a heat sink on a circuit function fine regardless of the coating applied? Will a conformal coating leak into the back of a component or is it sealed against penetration from the conformal coating? Does it matter if there is conformal coating on the body of a component as long as the key parts that must conduct are clear of coating? This final point can make the cost of processing much higher or lower depending on the choice made! Finally, the key point to realise is that it’s an individual decision to be made for each circuit board and each component on the circuit. There are no universal answers for certain components. Once the masking areas have been defined for the particular circuit board then the next stage to consider is the application process. Get the basic masking process wrong and it can be a big problem. It could lead to a repair of the conformal coating leak, stripping the conformal coating off the whole circuit board, removing a component to replace it or completely scrapping the board. However, there are two key issues to consider. First, you need to know how to use these different materials on their own or in combination to ensure that masking failures do not occur. Nexus examine these methods in our practical masking techniques section. Second, you need to choose the right materials that are compatible with the masking process. Consider the different materials available. Dots and tapes are a standard method for conformal coating masking when applied to circuit boards. These materials are used highly successfully in low and medium volume production. However, some makes of tape and dots have problems being used for conformal coating processing. 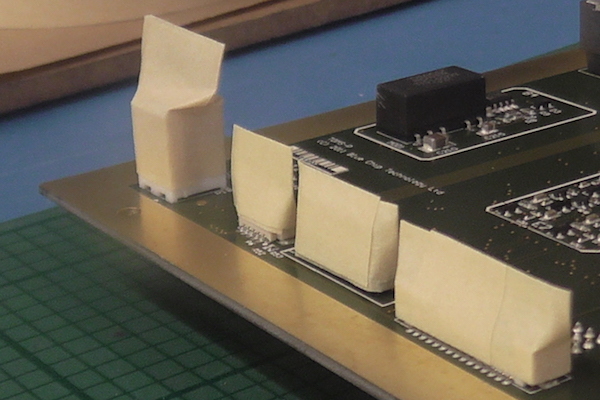 The tape material reacting with the conformal coating to produce de-wetting effects on the circuit board. This normally indicates silicon used in the adhesive of the tape or dot. The tape leaves adhesive residues on the circuit board when de-masked that may need to be removed. Leaking (bleeding) occurring under the tape of the conformal coating during the application process due to poor adhesion. The tape not staying sealed / bonded together for long enough after masking is completed so during the application process the conformal coating leaks through the masking. Tearing of the tape when it is removed from the circuit board leaving residues of the tape behind. Material not being compatible with the conformal coatings including solvent based coatings that could lead to damage to the tape and difficulties in removal. The tape material not being a barrier to the coating and the conformal coating can soak through to the components and board below. Do you require ESD masking tape? Costs normally are 2-3 times standard materials. They are also normally much harder to use as a process material and could give inferior results. Could you use de-ionising blowers and fans to neutralise these effects? As can be seen there are many issues when choosing the right tapes and dots. Therefore, choosing the right materials for your process can be crucial in having a smooth conformal coating masking process. 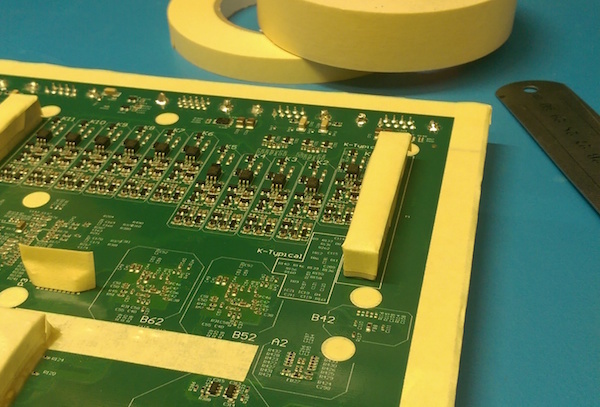 The use of peelable solder mask products can be a good option for masking. The material can seal effectively against ingress of coating into the component. Ensure the ingredients in the latex are compatible with the circuit board. For example, some natural latex’s can be heavily ammoniated and could attack the circuit board and components. Check how hard the latex dries? If it is very tough it could damage components if wrapped around sensitive parts when removed from the circuit board. If the latex breaks up easily when removing it you may find residues of the latex get entrapped inside components and cause reliability problems. The use of masking tapes, dots and liquid latex is an effective process method in protecting components from ingress of conformal coating. However, the masking application can be labour intensive, especially in medium and higher volume applications. Therefore, masking boots could offer a labour saving alternative in both the masking and de-masking stages of the coating process. The boots could be disposable or they could be reusable. Check the compatibility of the boot material with the coatings being used. Do they dissolve? Is the coating removable from the masking boot? Do you require ESD masking boots? Costs normally are 2-3 times standard materials. Could you use de-ionising blowers and fans to neutralise these effects? Whatever the type, for even small volumes of repeat processing of the circuit boards, masking boots can quickly show a ROI. Effective use of tapes, dots, latex and boots as masking in conformal coating can be found in our practical masking techniques section. Do you need to mask the circuit board the same for conformal coating dipping or spray application? For those who process with these two different methods then the answer is clearly no. Dipping is a much more difficult and intensive process to mask for because the liquid floods everywhere and the surface tension of the liquid ensures it penetrates everywhere. Unless this is a gasket seal to the device then this is likely to be a big problem. Therefore, considering the conformal coating application process is a critical factor in defining how the circuit board should be masked. Defining if the masking is a Barrier process versus Shield process is crucial.